Part of the magic of fiction is its ability to transport us to realms beyond our physical environment, simply through the pages in our hands. Within a library, a reader could potentially enter thousands of universes. While these journeys happen through the written word, many authors also choose to publish maps alongside their stories – representing not just the geographical settings, but also the mental spaces where those stories were born. Whether they are imaginary worlds or real places within which the imaginary unfolds, these cartographies open our minds even more to the narratives that captivate us. 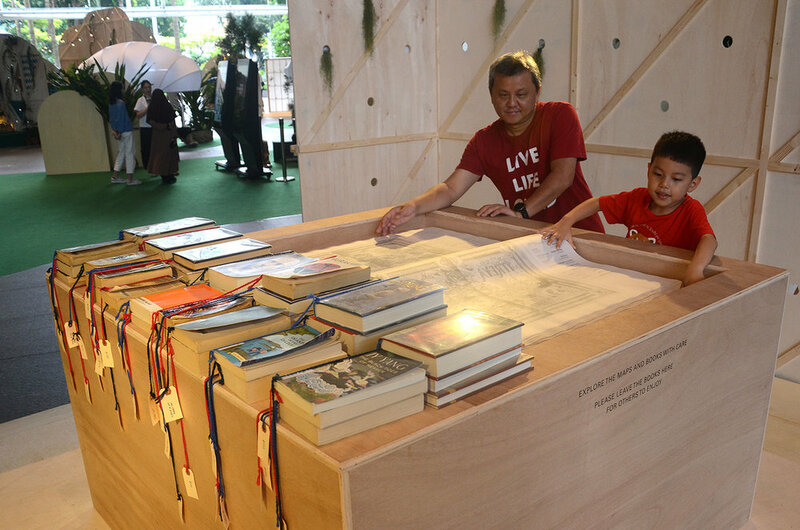 This atlas contains close to 300 maps, selected from fiction books found in four Public Libraries in Singapore – Central Library, Bishan Public Library, library@orchard and Queenstown Public Library. Scans of these maps, alongside the book's information, were printed on A1 sheets of tracing paper, then bound by hand. 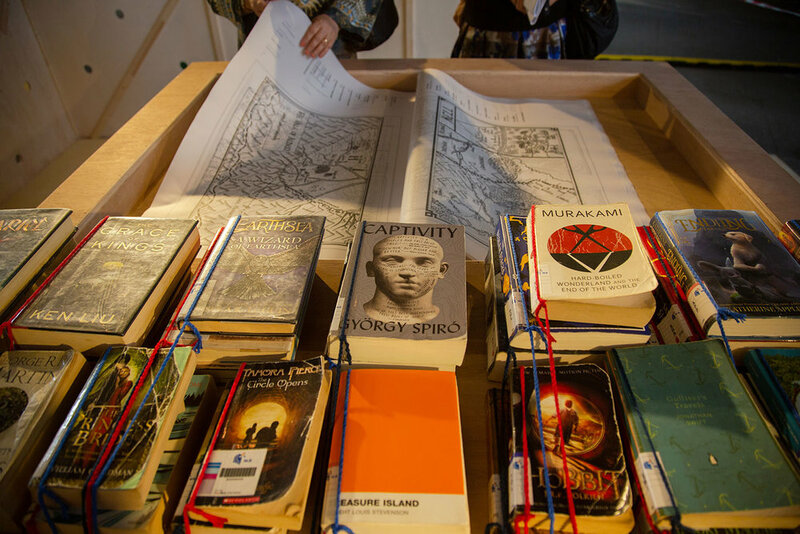 Viewers are allowed to flip through the atlas, as well as 37 of the books represented in it, including J. R. R. Tolkien's The Hobbit, Haruki Murakami's Hard-Boiled Wonderland and the End of the World, Norton Juster's The Phantom Tollbooth, George R. R. Martin's A Dance with Dragons, Ursula K. Le Guin's The Wizard of Earthsea, and Robert Louis Stevenson's Treasure Island. The full list of books is available here. A Catalogue of Imaginary Cartography was commissioned by Shophouse & Co for Read! Fest 2018, the National Library Board's annual reading festival. 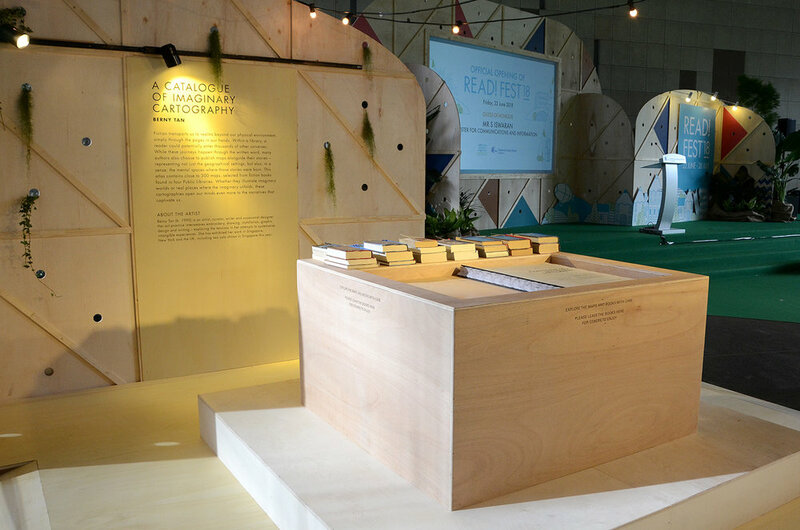 It was exhibited in The Plaza at The National Library Building in Singapore for the Read! Fest 2018 Opening Weekend (22-24 June 2018). 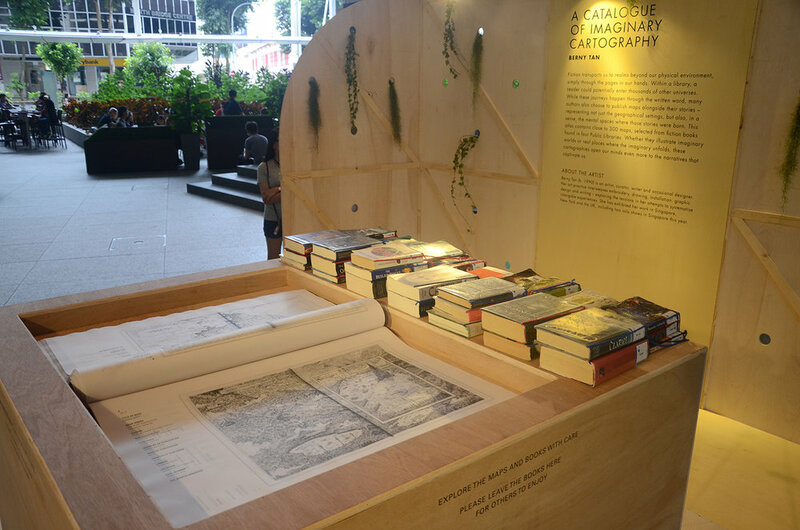 It then moved to the Central Library, and remained on view till 29 July 2018.